CSKA Sofia will make a complaint to the Bulgarian Football Union after claiming one of their players was racially abused by an opponent. Portuguese winger Toni Silva, who left Barnsley last summer, says Botev Plovdiv's Bulgaria international defender Veselin Minev used racist language in Sunday's game. CSKA confirmed the incident and their intention to make a complaint on their club website. 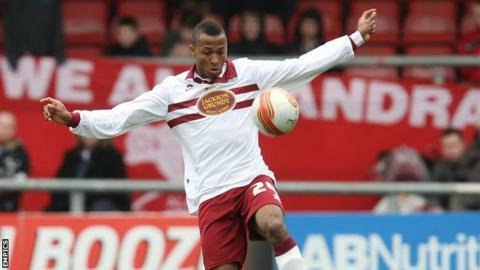 Guinea Bissau-born Silva, 20, was on the books of Chelsea and Liverpool as a youngster and has played for Northampton and Dagenham & Redbridge on loan, as well as one substitute appearance for Barnsley.